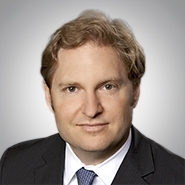 PHOENIX, AZ — The national law firm of Quarles & Brady LLP today announced that Brad Vynalek, a partner in the firm’s Phoenix office, has been elected to the Greater Phoenix Economic Council (GPEC) board of directors, which focuses on the business expansion and attraction of new companies into Arizona. Vynalek is a partner in the firm’s Commercial Litigation Practice Group. He routinely represents financial institutions, high-tech and tech-transfer entities, and other clients from a broad array of industries. Vynalek is also a Fellow of the American Bar Foundation. Since 2012, he has been named in Southwest Super Lawyers magazine for business litigation, and in 2014, was listed in The Best Lawyers in America for commercial litigation. Also in 2014, Vynalek received the 2014 Distinguished Alumnus Award from the University of Arizona James R. Rogers College of Law. Vynalek received his law degree from the University of Arizona and his bachelor’s degree, with honors, from Stanford University, where he served as a Public Service Honors Scholar. He is a graduate of both Valley Leadership Institute Class XXVI and the Flinn-Brown Civic Leadership Academy. The Greater Phoenix Economic Council (GPEC) is one of the region’s premier economic development groups. GPEC has been working on behalf of businesses looking to relocate and expand—at absolutely no cost to the company—for nearly 25 years. It is a public-private partnership representing Maricopa County, 22 communities throughout the region, and more than 170 private investors.